There has been a lot of talk in the financial sector surrounding the topic of PSD2; flagging deadlines, the implications of non-compliance and the opportunities open banking presents. But what about the other industries affected by the new regulation? From the charities and even the accountancy firms that now fall under the FCA’s watchful eye? Have they been forgotten about amid the vicissitudes? In an area which lacks clarity, it’s important for these industries to know they’re not necessarily excluded from the regulation and it equally applies to them. In relation to the charitable sector in particular, professional digital fundraising and crowdfunding platforms may now need to be authorised or registered by the FCA, after the revised Payment Services Directive (PSD2) came into effect on 13th January 2018. The revised directive sets regulatory requirements for firms that provide payment services and rights for those who use them. Importantly, PSD2 removes certain exemptions enjoyed by digital fundraising platforms under the previous 2009 iteration of the legislation. The new regulation also presents an array of opportunities for charities. 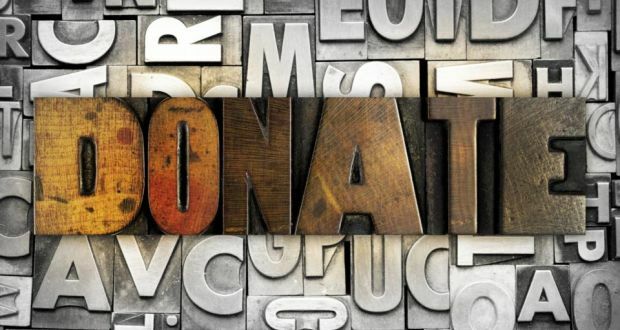 While payments technology may have been slower to disrupt the charity sector than others, online fundraising is now actively connecting people and communities. The requirement for fundraising platforms to be authorised or registered as payment institutions with the FCA, will allow online platform providers to differentiate themselves in this increasingly complex marketplace, promoting improved governance and transparency, as they strive to meet stringent regulatory and financial operating requirements. The regulation has spurred a rise in enquiries for financial services compliance consultancy, fscom. Alison Donnelly, Director at fscom, comments, “the regulation has brought many organisations that process payments as part of their service under the umbrella of the FCA. This includes online fundraising, funding and crowdfunding platforms. One such example is The Good Exchange, a not-for-profit digital charity matching platform, who have worked with fscom to become recognised as a small payment institution. By doing so, they provide added assurance to the public that the fitness and propriety of those who run the business has been considered and approved by the FCA and that business is organised and run to the high standard expected of a business that provides regulated payment services. Ed Gairdner, COO of The Good Exchange, said: “The Good Exchange has been designed to address one of today’s biggest charitable fundraising challenges – how to best match those organisations and individuals who have money to give to good causes to those who need it most, whether local, regional or national. The implementation of PSD2 within the charitable sector will boost overall transparency and accountability. In the mindset of the fundraiser and donor, this provides the ultimate seal of approval that generates a high level of confidence and security. After all, public trust is the lifeblood of fundraising both online and offline. Not only is it hard earned, but it’s easily lost. Any loss in public trust as a result of fraudulent activity, is therefore to the detriment of the sector as a whole.